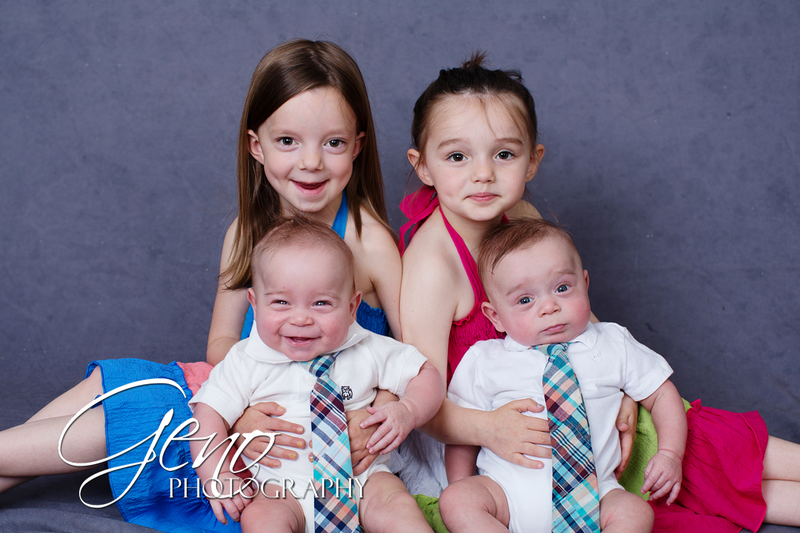 Check out this adorable quartet! 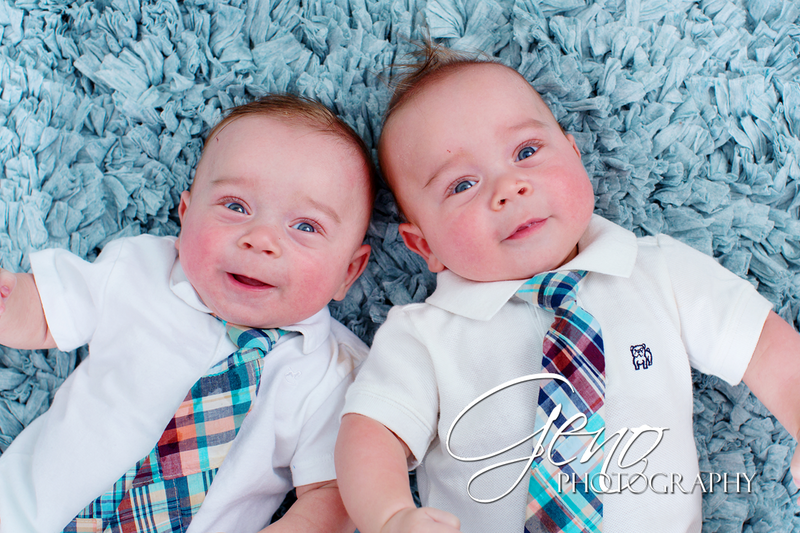 I've had the pleasure of photographing Maryann and Lilly since they were babies, and I was excited to have them back in the studio along with their handsome twin cousins, Sebastian and Sterling. 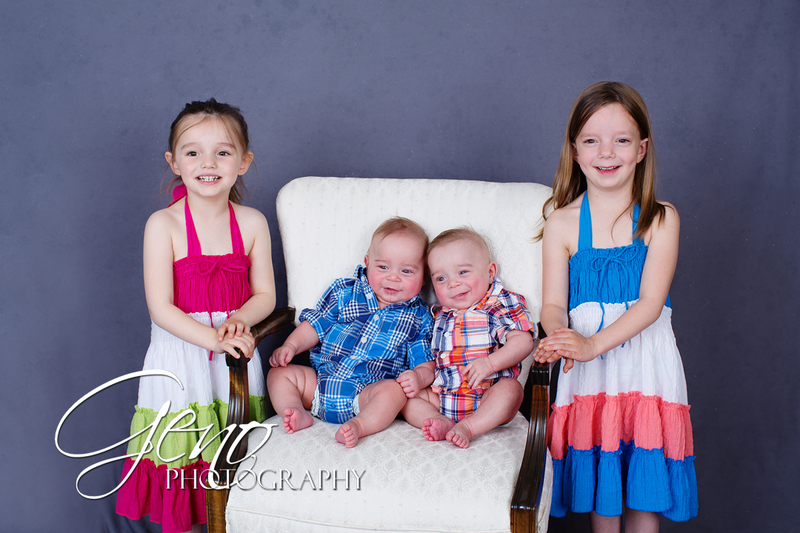 Such a gorgeous group of kiddos! 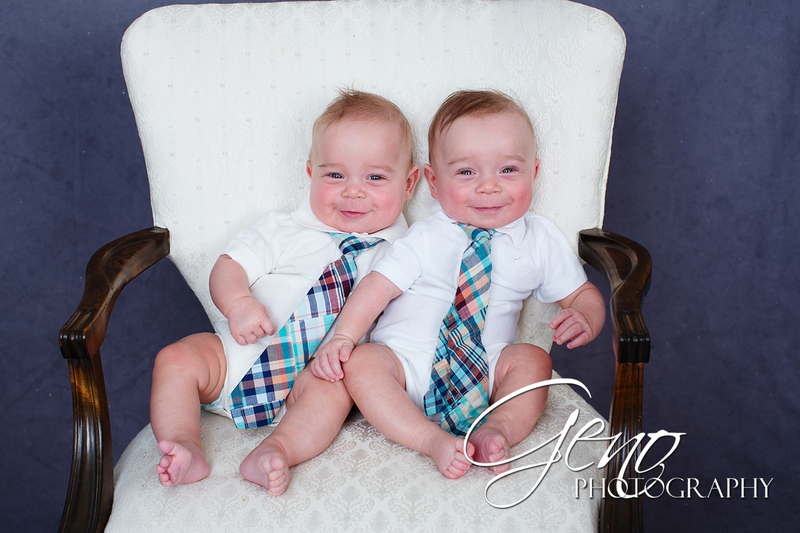 Sebastian and Sterling are such well behaved, smiley babies. It was so much fun to photograph them. I love the picture above. 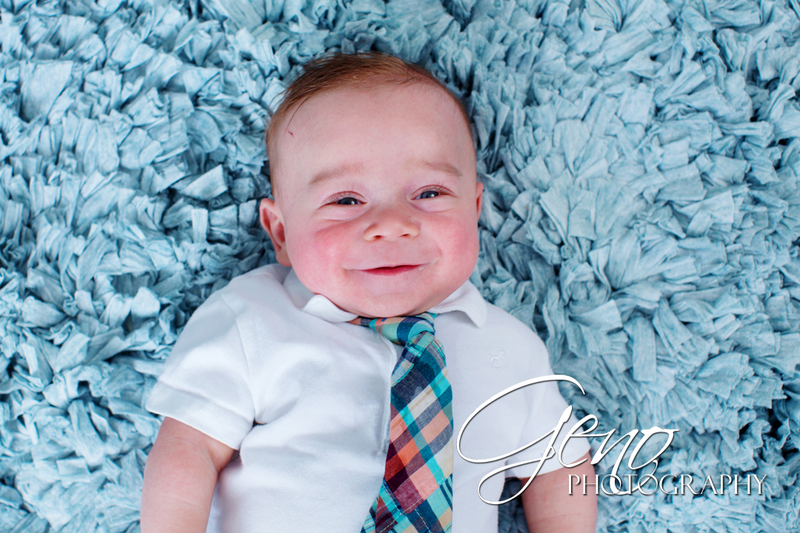 It really doesn't get much cuter than a pair of smiley babies in ties! 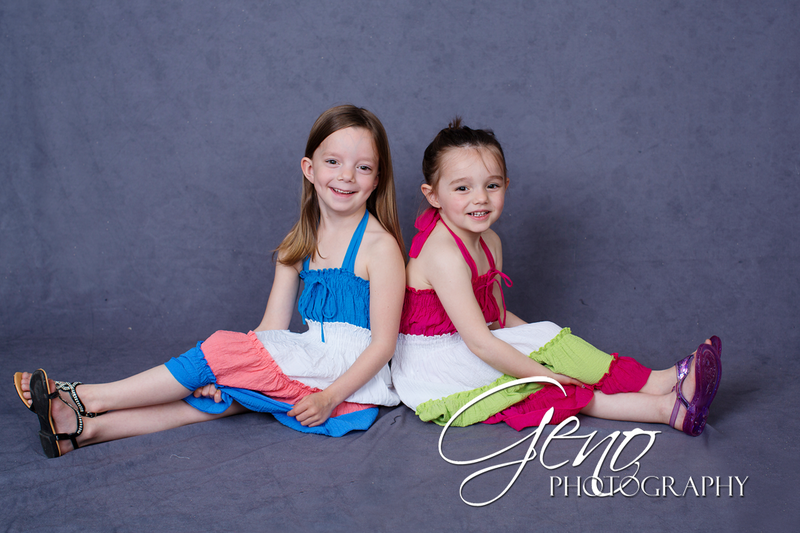 Maryann and Lilly did a great job with their portraits too. Despite being a little distracted, as they are good friends of the family and wanted to head out to play with my girl rather than stick around for photos which are far less exciting, they gave some great smiles and did really well. 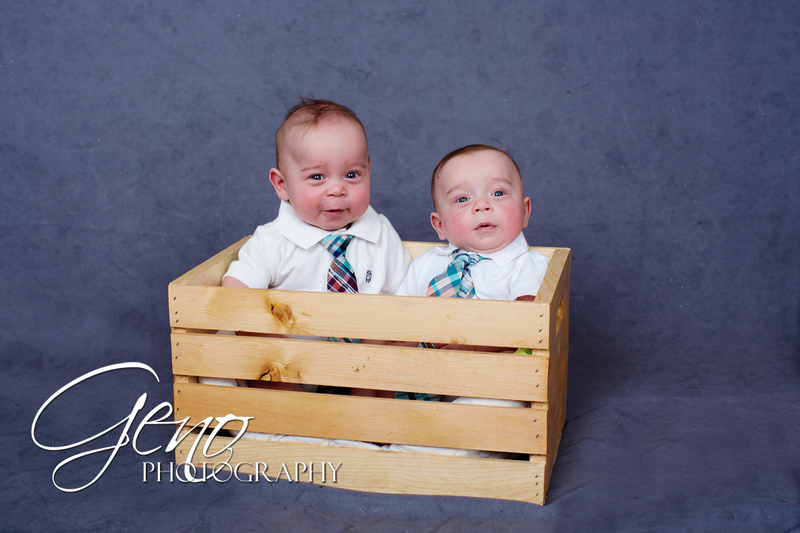 The twins are not quite to the point of sitting up unassisted yet, so the new crate I picked up for the mini-sessions this spring was a perfect spot for them to hang out. Though, I have to say if we'd have waited any longer to do the session, I don't think they both would have fit! It was a bit of a squeeze, but it turned out so cute. 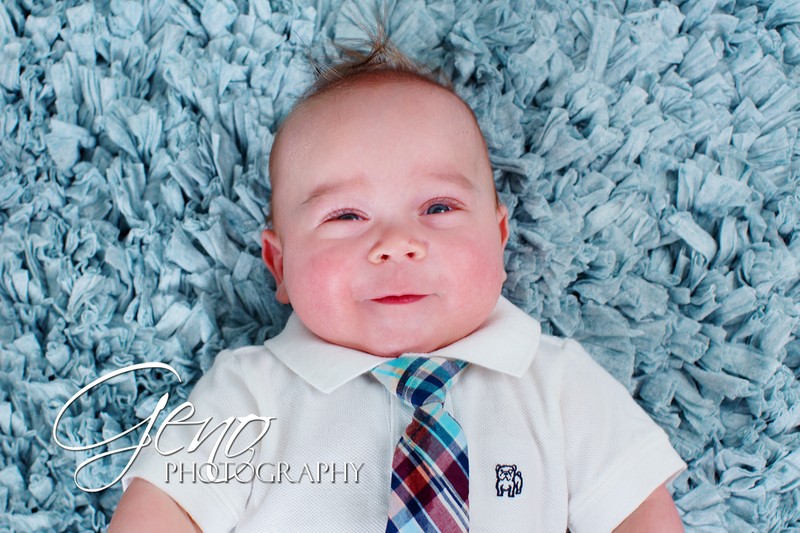 I love how their blue eyes pop on our shaggy blue rug in the studio! 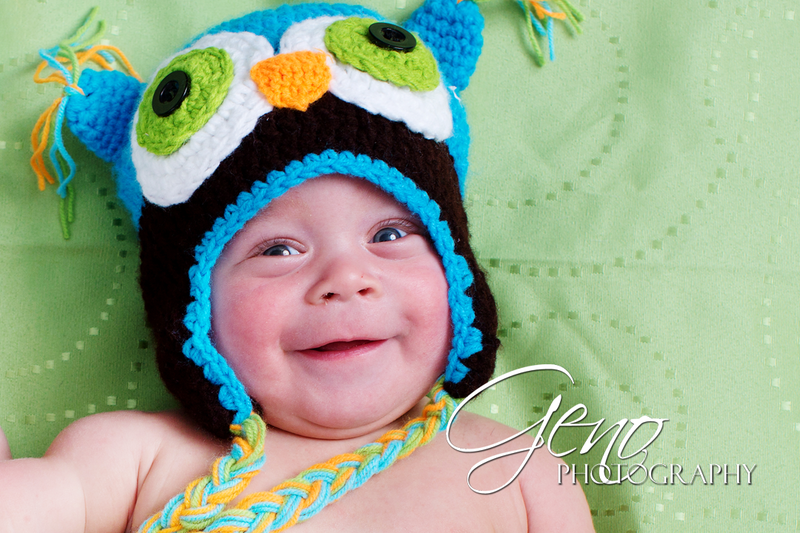 Ok, seriously these crocheted owl hats are delightful. The twins are not big hat fans according to their mom, but these little guys rocked these hats like superstars. 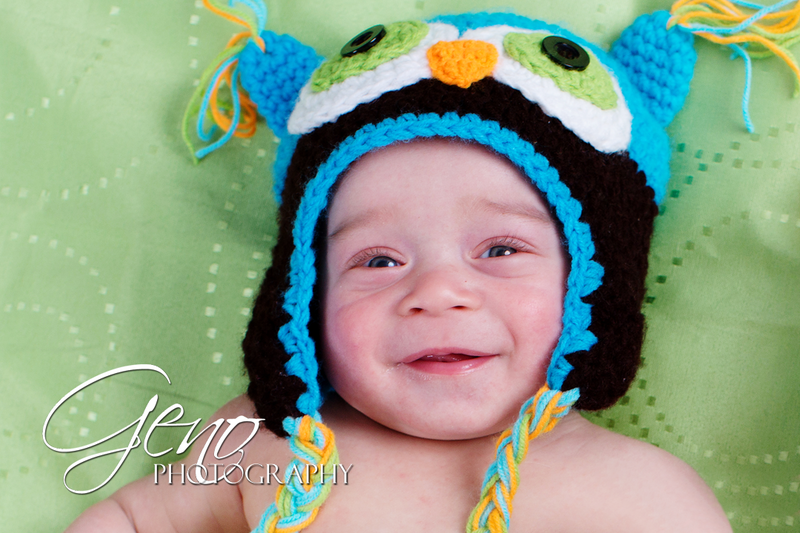 I love, love, love these little guys in their hats! Quite possibly the cutest duo ever. It was so much fun working with this quartet of cousins. They were all amazing!